Welcome to Gordon Gao Hard Money! 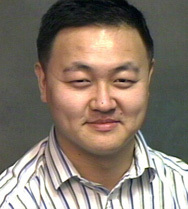 Gordon Gao of Las Vegas, NV has been your devoted hard money broker for over 10 years! Gordon’s’s reliable hard money loan programs make the process of investment funding fast and convenient and enables clients nationwide with income-producing properties to receive funding in a short period of time with our simplified loan process. For More Information please call now (702) 339-8638!! or Click Here to Apply Now!